CNC Side-event at the 2nd PACA Partnership Platform Meeting 11th October, 2016, Kampala Uganda. 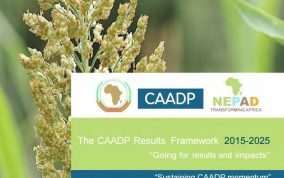 Welcome to CAADP Non-State Actors Coalition (CNC) Website.The CAADP Non-State Actors Coalition (CNC) is a Pan-African Coalition for Non-State Actors engaged in agriculture, comprised of food producers, pastoralists and fisher folks’ organizations, civil society, private sector, women, smallholders, youth, media, and academic organizations. 14th EDITION OF THE AFRICAN DAIRY CONFERENCE AND EXHIBITION, 20th – 24th August 2018 at the Kenyatta International Convention Centre (KICC) in Nairobi, Kenya. 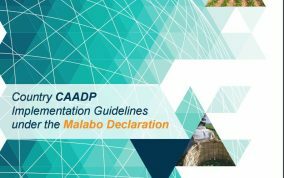 The Contents of the CAADP Biennial Review report show encouraging results of progress but also draw attention to the need for more to be done towards achieving the Malabo targets by 2025. 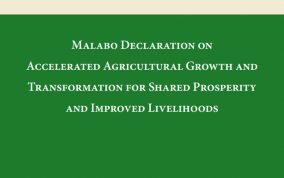 Out of the 47 countries that reported on the progress that they have made, only 20 of them are on track, where the overall average score for entire continent stands at 3.60 against the 3.94 benchmark set for 2017.